Before installing ActiveReports Server, you need to install the following Windows features. 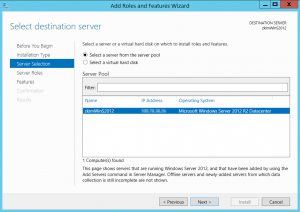 Here is an example of how you would set up the environment in Windows Server 2012 using built-in Windows functions. (To install on a client operating system for testing, see the bottom section.) Note: If you are running Windows Server 2008, you need to install .NET Framework 4.5 or higher before configuring IIS. 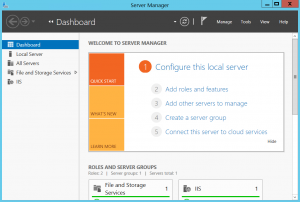 Starting the Server Manager Open the Server Manager window. 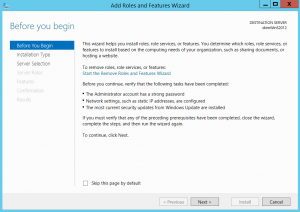 Before You Begin page In the Add Roles and Features Wizard, confirm the items in the Before You Begin page before you click Next. 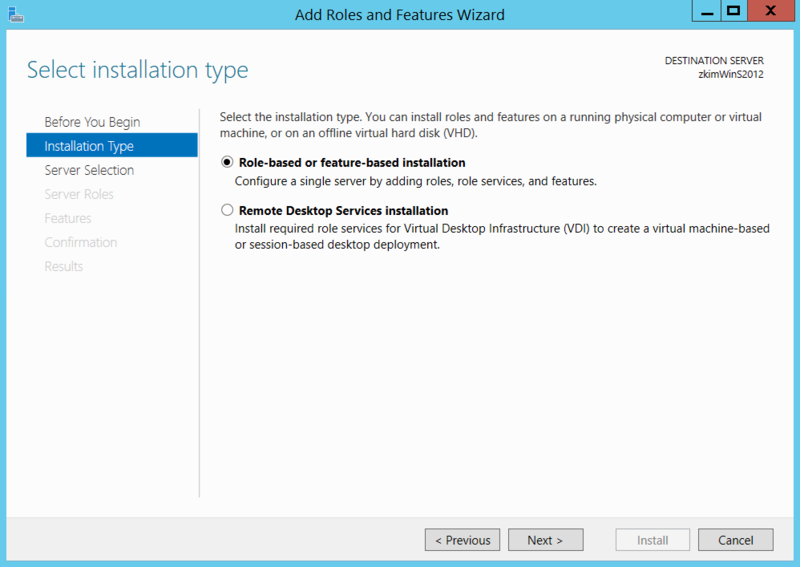 Installation Type page On the Installation Type page, select Role-based or feature-based installation and click Next. 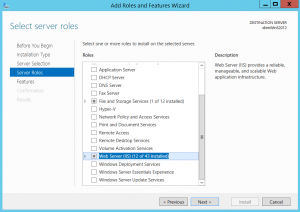 (Or in Windows Server 2008, skip to step 6, Server Roles. Server Selection page On the Server Selection page, choose Select a server from the server pool, select your server from the list, and click Next. 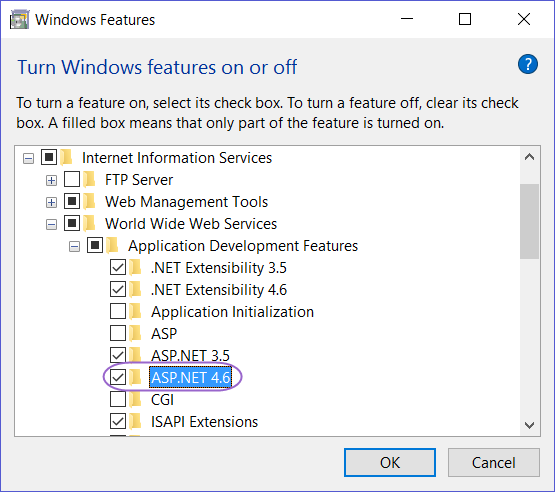 Features page On the Features page, add these two Windows features: ASP.NET 4.5 and HTTP Activation. 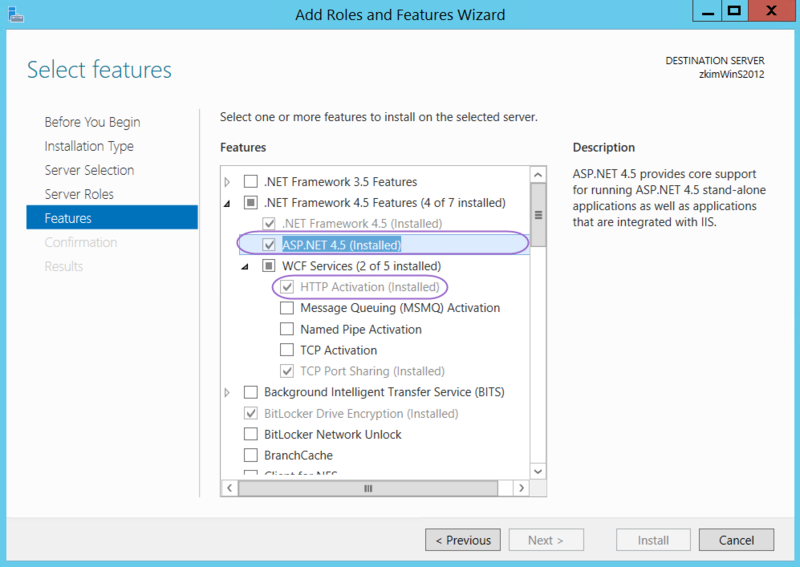 (In Windows Server 2008, add ASP.NET, and in the dialog that appears, click the Add Required Role Services button. We'll add HTTP Activation later, in the Add Features area. When you select HTTP Activation, a dialog appears. Accept the default settings and click Add Features. 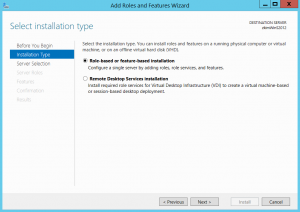 (In Windows Server 2008, on the Confirmation page, click Install. 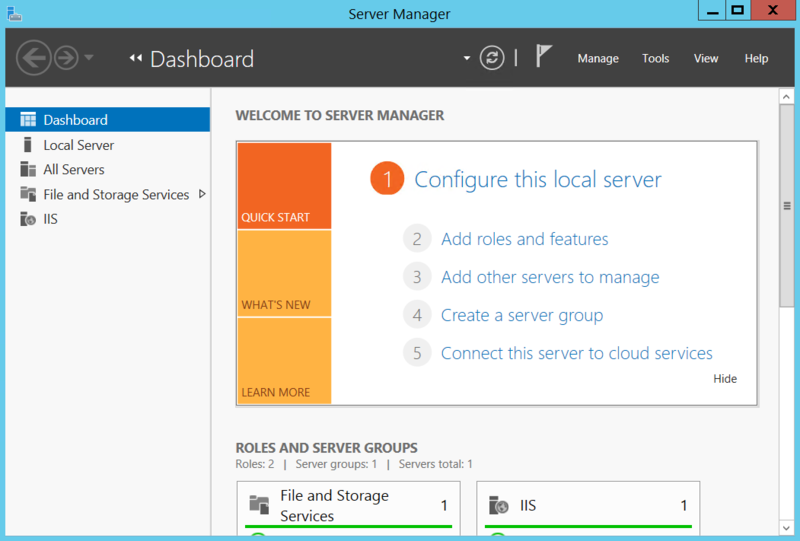 After the roles are installed, close the dialog and return to the Server Manager. 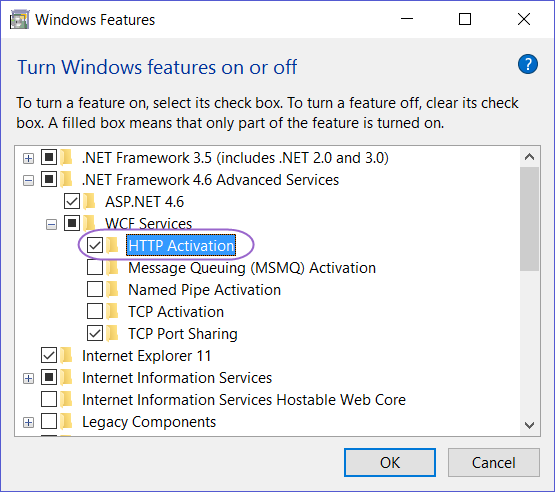 There, you can click Features, then Add Features, and in the Add Features dialog that appears, expand the .NET Framework 4.5 Features node, then WCF, and select HTTP Activation. In the wizard that pops up, click the Add Required Features button. 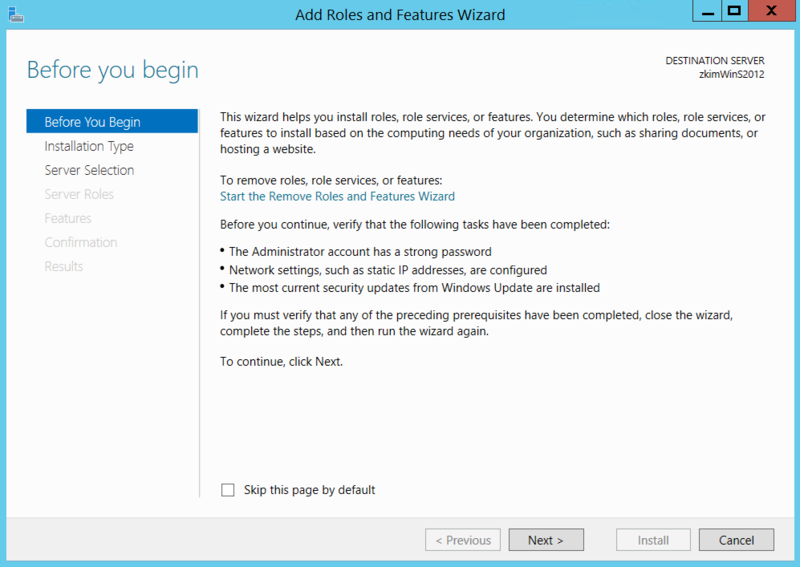 Back in the Add Features Wizard, click Next, then Install.) Back in the Wizard, with the features selected, click Next. 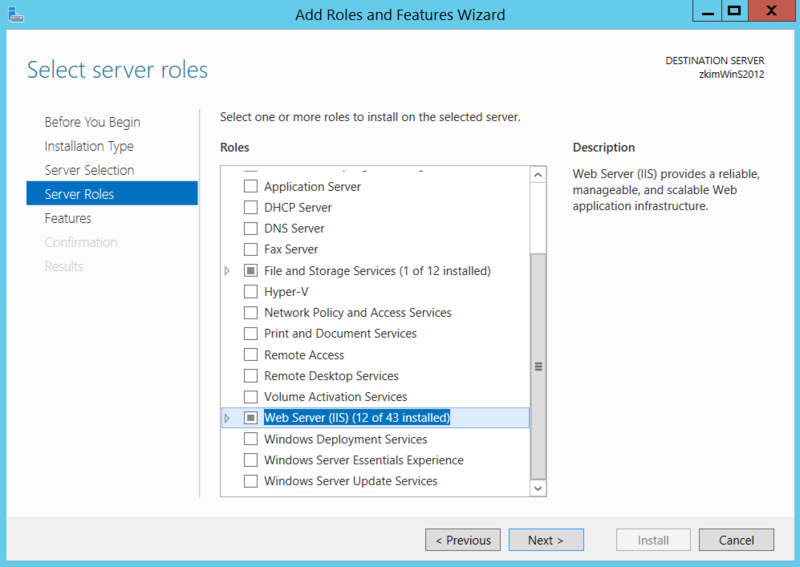 Web Server Role (IIS) page If the Web Server Role (IIS) page appears, confirm the contents and click Next. 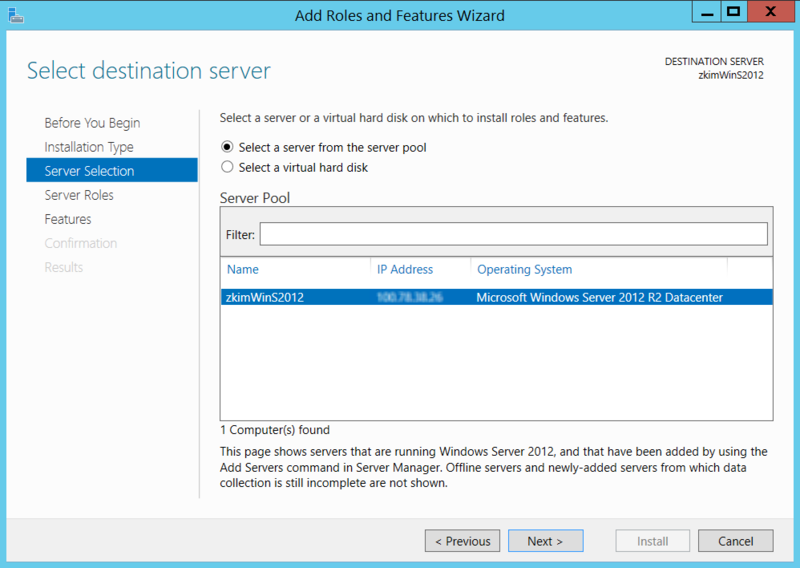 Select Role Service page If the Select Role Service page appears, accept the defaults and click Next. Confirmation page On the Confirmation page, verify the features to be added and click Install. Results page On the Results page, you can check the installation status of the features.When installation is complete, click Close. The Windows features are added. Here is an example, strictly for testing purposes, of how to set up the environment on a client operating system without Windows Server. Important: Although ActiveReports Server is not supported without Windows Server, it can be useful for testing on your own machine to get an idea of how it will work in a live scenario. Note that you cannot install it on Windows Home Edition. 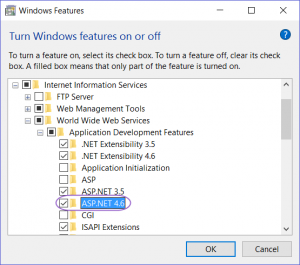 Open theWindows Features dialog and expand the Internet Information Services node, then World Wide Web Services, then Application Development Features and select ASP.NET 4.6. 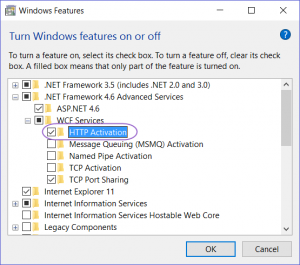 For Windows 8.0 or later, expand .NET Framework 4.5 or (4.6 for Windows 10), then WCF Services, and select HTTP Activation.